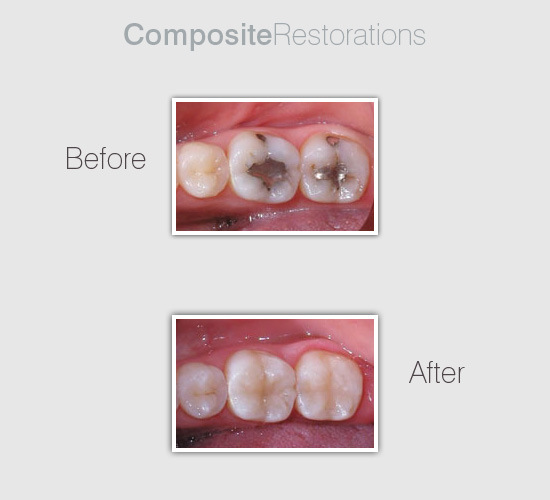 Tooth-colored composite materials are the most sophisticated type of restoration material used in dentistry. When used to restore a tooth, the anatomical contours of the tooth are recreated providing excellent aesthetics as well as helping to restore the function and 'bite'. The bonding nature of the material lends itself to superb strength and durability.